The initial RBM Contrastive Divergence algorithm implemented from this blog. This version includes image encoding/decoding schemes, Contrastive Divergence training for a single RBM, deep RBM, and recurrent RBMs. Uses Parallel Colt for matrix processing. Also includes a Multithreaded Deep RBM. 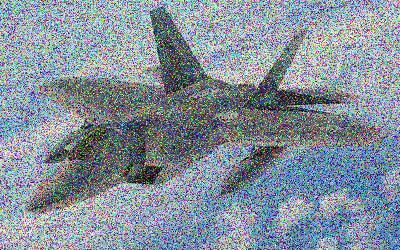 Shallow RBM - Input a 100x63 pixel image of a fighter jet at 24bit color resolution. Each RGB value is encoded as a 24 bit vector making a total input size of 100 x 24 x 63 bits. Deep RBM - Input a 400*250 pixel image of a fighter jet at 24bit color resolution. Each RGB value is encoded as a 24 bit vector making a total input size of 400 * 24 * 250 bits. That's 2.4 Million inputs to be learned. RBM - Learn 9 Pokemon Image (Full dataset contains 151 pokemon) 60x60 pixels, 24bit resolution. RBM - Note how having a white BG (max value input) negatively affects learning, where as a Black (zero value input) converges quickly. They were trained on identical RBMs for the same number of epochs.